And now...and now....people are suggesting that MORE guns might be the solution. MORE GUNS? To me it's simple math, more guns mean more killings. Accidental or otherwise. If you're like me, you've been seeing or hearing about Jason Reynolds EVERYWHERE. And it's so satisfying to see such a talented writer get the recognition he deserves. I've been reading Ghost, and As Brave As You, and I'm about to start Miles Morales: Spider-Man. Yes, Reynolds has created a teen Spider Man in New York, who happens to be Puerto Rican (based off the graphic novels). I'm in. And Reynolds deserves the accolades. I've always been a poet at heart (though I'm not claiming to be good), it's what I initially started writing when I was younger. And later in my teens and early twenties, some of my fiction was sort of a cross between stream-of consciousness and verse. So even though Long Way Down is only in verse, I admire Reynolds' turn of phrases and the rhythm of his writing. I don't want to spoil the entire book and I've already written about the premise above. Essentially we are going through Will's mind as he figures out how he's going to follow The Rules and actually pull the trigger of a gun to kill the guy who killed his brother. It's an endless cycle of violence and Reynold's spells it out for the reader in haunting lyrical verse. His use of anagrams reminds me of John Green's Paper Towns, only Will's anagrams are sparse and striking, alone on a page. The entire novel is a quick read on purpose—I read somewhere that Reynolds wanted the book to be accessible for everyone and also for those who aren't necessarily readers. Mini Me finished the book in about thirty minutes or less. Again, I took longer because I had to take a break. 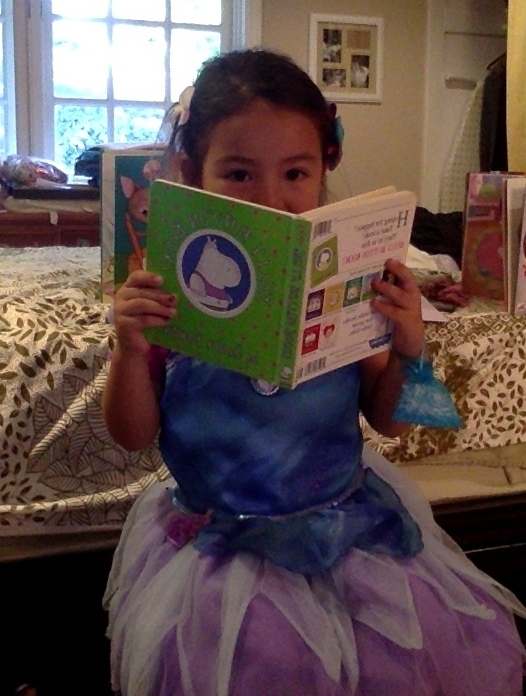 When I asked to discuss the novel with Mini Me, she was reluctant, except that she mentioned something about the end. <SPOILER ALERT> She felt the ending was ambiguous. I did not. I supposed it could be, but the novel is based in reality, and reality tells me that there's only one ending to the novel. Equally haunting is what is on the page as what is not. That's the beauty of writing in verse, with conversations and blanks speaking volumes. The cover reflecting Will on the elevator is brilliant. And, again, a haunting reflection of our society. I see why he feels trapped in that box, that coffin, that reflection of how people only see him on the outside. I can't recommend this book enough. Even as it tore me to pieces. What's your current must-read, the book you're telling everyone you know to read? Let me know in the comments! P.S. I'm posting discussion of the second half of Wonder by R.J. Palacio for our read-along next week. I want to squeeze in watching the film first. If you missed the first half, it's here.